(August 25, 2016) America’s Car Museum (ACM) and the North American International Auto Show (NAIAS) have announced that Boston will be the starting point of “The Drive Home II: The Heritage Run” — an 11-day, 2,150 mile winter road rally, from Dec. 28 to Jan. 7, concluding at the opening of the North American International Auto Show. (May 18, 2016) AUBURN HILLS, Mich. — “The grille on the 1934 Chrysler Airflow is beautiful to look at, but it sure does rip up my California Car Duster,” said Jim Harp. Harp has been volunteering at the Walter P. Chrysler Museum for seven years. Part of his responsibilities include dusting the more than 60 classic cars housed inside the museum’s historical halls. However, Harp doesn’t just dust; he waxes poetically about the history of the vehicles inside. (April 14, 2016) HERSHEY, Pa. — Unique vehicles often find a place among the Antique Automobile Club of America (AACA) Museum collection and the 1967 Ford Econoline Conversion van, affectionately named H.M.S. Truckie, is one of the most exceptional to date. (March 8, 2016) STUTTGART — The Porsche "Rolling Museum" is set for an eventful year on the world's roads and at the most prestigious classic car events around the globe. The "Rolling Museum" was out and about beyond the museum walls with over 280 vehicle appearances in 2015 alone. 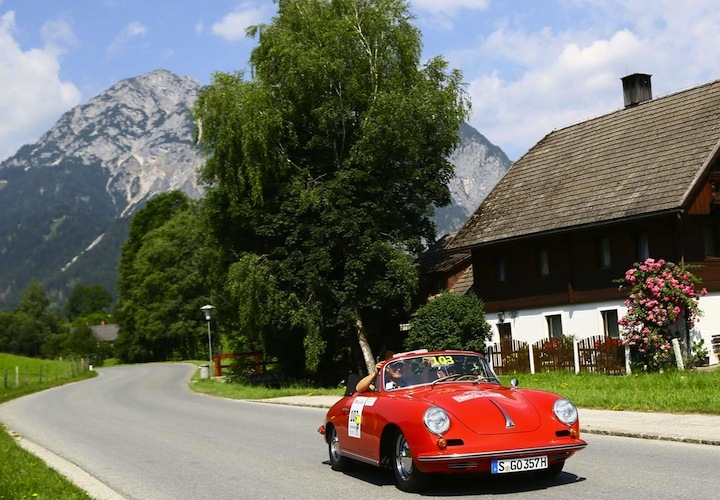 This year the historic cars will be taking to the international stage at events including the Targa Florio Classica on the island of Sicily, the Austrian Ennstal Classic and the Top City Classic Rally in China. 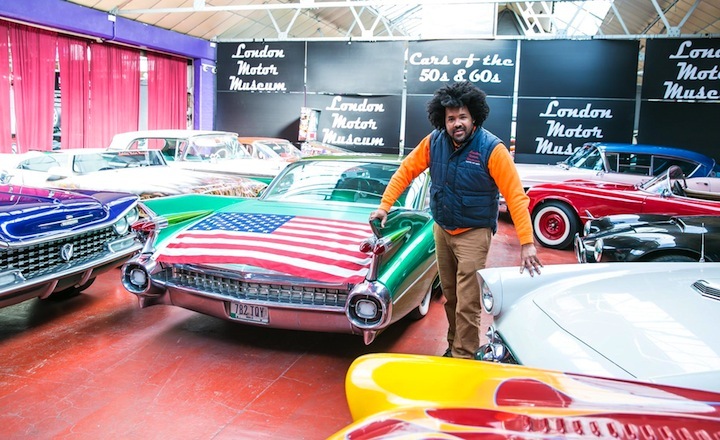 (March 6, 2015) LONDON — After 14 years building up the London Motor Museum, owner Elo is crossing the pond to replicate his success with the Miami Auto Museum. The stateside museum houses a wide collection of over 1,000 rare cars, all owned by property developer Michael Dezer. (January 6, 2015) Remember the Wagon Queen Family Truckster from National Lampoon’s Vacation? How about Carol Brady’s Plymouth Satellite wagon from The Brady Bunch? Do you have fond memories as a kid of riding in the back of the Vista Cruiser with a picnic cooler on the way to a family outing? If you do, you’re not alone. 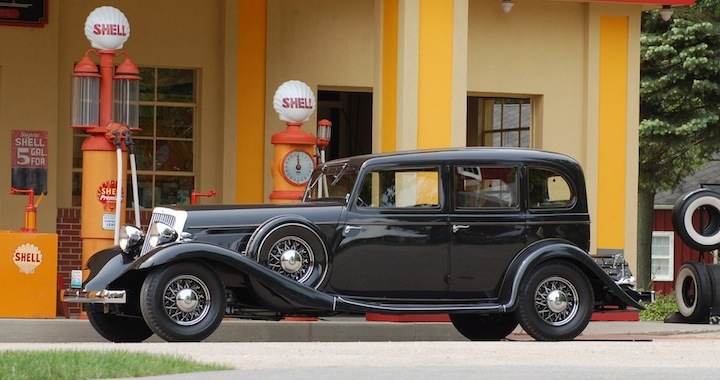 (September 23, 2014) One of the most interesting and intriguing pages from automotive history concerns the Franklin Automobile Company, which flourished in the first three decades of the 20th Century manufacturing an assortment of luxury cars. Special exhibition at Porsche Museum: 'Project: Top Secret! (September 19, 2014) STUTTGART — From Sept. 17 through Jan.11, the "Project: Top Secret!" special exhibition at the Porsche Museum in Stuttgart, Germany will showcase 16 unique vehicles, most of which have never been shown to the public. 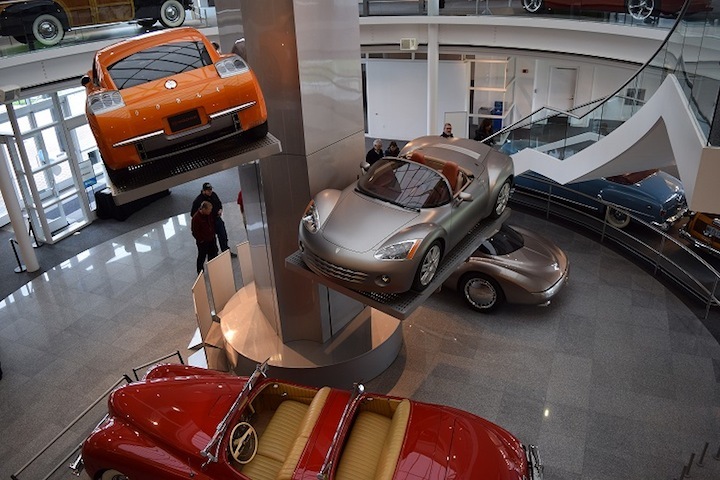 The range of automobiles on display includes top-secret concept cars, camouflaged prototypes as well as one-of-a-kind record-breaking, testing and experimental vehicles. Read more about Special exhibition at Porsche Museum: 'Project: Top Secret! (September 18, 2014) HICKORY CORNERS, Mich. — The Gilmore Car Museum will once again make history as it celebrates the grand opening of the new Cadillac-LaSalle Club Museum and Research Center on Sunday, Sept. 28. 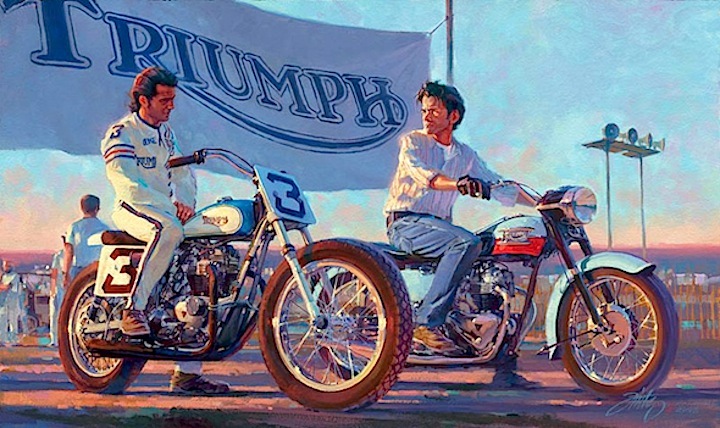 (July 10 2014) GLENDALE, Calif. — Forest Lawn Museum presents Vroom: The Art of the Motorcycle, an exhibition of distinctive and artfully designed motorcycles, intricately painted motorcycle parts and accessories, and motorcycle-themed artworks. The exhibit is open until Jan. 5, 2015. Vroom: The Art of the Motorcycle is the latest presentation in Forest Lawn Museum’s celebrated history of unique, exciting and popular exhibitions.